Best Beaches In Bali White Sand - Besides having the famous Kuta Beach with its sunset view, Bali Island still has the beach with sunset view which is not less beautiful with Kuta Beach that is Kedonganan Beach. This beach overlooking the Indian Ocean offers a stunning panorama of sunset and become one of the best beaches in Bali Indonesia for seafood enthusiasts. 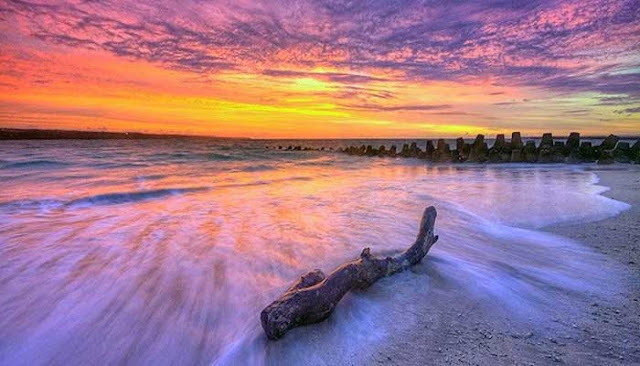 One of the beautiful beaches in Bali where the sunset view is Kedonganan Beach located in Kedonganan Village, South Kuta District, Badung Regency, Bali Province, Indonesia. 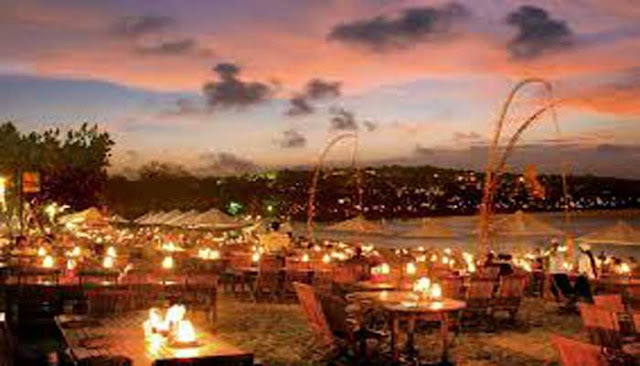 It is also the best beaches in Bali white sand with clear and calm sea water is there are many roasted fish cafes. Although the menu offered in every cafe is almost the same, but each cafe has a different aroma and taste. Knitting Dusk On Kedonganan Beach while enjoying grilled fish is the most memorable thing while on vacation to Kedonganan Beach. The calm atmosphere with a stunning panorama of the sunset over the twilight skyline will add to the romantic atmosphere of your holiday in Bali with your partner. In addition to serving grilled fish snapper, gurame, pomfret or baronang as his favorite menu, Kedonganan Beach Cafe also offers Squid, crab, shellfish, shrimp, and lobsters are widely available on this beach. Locals whose livelihoods are mostly fishermen are ready to provide fresh fish for you to enjoy. As the best beaches in Bali, this beach is usually a lot of visitors because they are the fans of seafood. As dusk began around 4 pm, Cafe waiters began to set up tables and chairs by the beach. Toward night the candle lights start up. From a distance, you will see the sun begin to sink radiating the scent of beauty over the horizon. That's when you start eating the dishes you've ordered before. Enjoy seafood while enjoying the beach atmosphere with sunset view. This is a favorite for many tourists while Bali beach vacation. 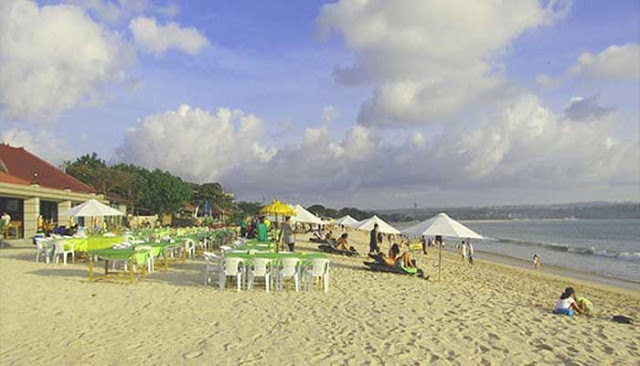 Not only the cafe visitors who come to enliven Kedonganan Beach located in Bandung Bali. But for you who just want to relax and walk, sunbathing or swimming breaking the silence of white sandy beaches with clear and calm sea water will provide comfort and natural atmosphere for every tourist who comes. This is what causes Kedonganan Beach as one of the best beaches in Bali with its white sand.